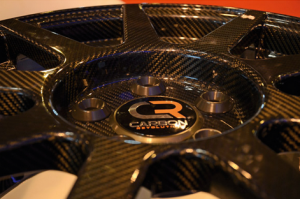 Geelong-based start-up Carbon Revolution has won a contract to supply its carbon fibre wheels to the all-new 2016 Ford Shelby GT350R, highlighting Australia’s important role in supplying the global auto market. These high-performance wheels will not only add to the appeal of the new Shelby Mustang, but will also improve the car’s handling, acceleration and chassis performance due to the significantly lower weight compared to their traditional aluminium counterparts. To meet Ford’s specific requirements, Carbon Revolution approached the CSIRO Services team to help put the wheels through their paces and make sure they are able to withstand the likes of kerb strikes, potholes and everyday bad driving, as well as wear and tear from weather, rain and temperature changes. “Using their accelerated weathering equipment, CSIRO simulated conditions equivalent to extended exposure to the elements. The team was able to show that the high-tech wheels could stand the test of time,” the company said in a statement. To address this concern, Carbon Revolution and CSIRO developed a heat-shielding method similar to that used on the engine turbines of space shuttles and assessed the performance of the wheels through a rigorous testing program. “Drawing on its expertise in fire safety, CSIRO engineers worked with the company to thermally model the conditions the brakes and the wheels would experience in race conditions,” reads the statement. The contract to supply carbon fibre wheels to a major car maker such as Ford will also contribute to the Carbon Revolution’s ongoing effort to build a $24 million purpose-built manufacturing facility that will create over 100 new jobs for the Geelong region. When complete, this facility will have capacity for commercial scale production of 50,000 carbon fibre wheels a year.